Lumiere is French for “Light”. We are excited to launch a new menu with affordable price options. These classic salon services are an alternative to some of our higher priced services. These are “lighter” versions of services offered by our more advanced stylists, which means cost is “lighter” on your wallet. If you are familiar with our approach, you know most of our stylists are advanced and work with assistants. We continue growth with a “push pull” philosophy. This means associate stylists help as assistants. This helps push our stylists further in their career. The training helps pull them up to a higher level while they receive hands on training. Side by side education through on the job training is proven to be the most effective in any trade, especially in the art and science of hair. Our version of a Graduate Program ensures continued consistency in expert service. 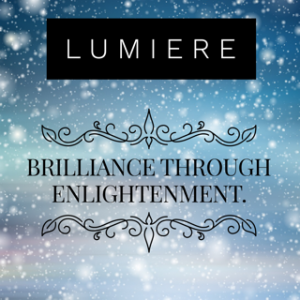 Lumiere services are affordable and allow our associate stylists to maintain their existing skill set while developing advanced ones in classes and training. A bonus for those seeking luxe yet affordable services, with senior and master stylists on hand. Salon Apprentice. This is someone who receives training in a traditional apprenticeship instead of a cosmetology school. They have a cosmetology student license but also have the advantage of experience in a busy salon environment from the beginning. An apprenticeship requires more hours for boards, so they are often more versed in advanced work from mentors. This exposure to being educated in a salon versus a school makes them floor ready immediately after licensing. Brielee is an example of a salon apprentice. Cosmetology Graduate. Someone who has graduated or in their first-year after school. Schools teach what is necessary to pass state boards for a cosmetology license and the service portion on the state exam hasn’t been updated in years. They have more classroom education, versus current salon education. Though they performed services in school, this is where they differ from apprentices. When graduates transition from school to the salon they quickly learn and advance. Transitional Stylists. This may be a stylist who has not been active for awhile and is transitioning back into the industry. It could also be a stylist transitioning into our salon who is adjusting to our work style. Services like blonde work & balayage, corrective color, Vidal Sassoon and other advanced cutting– are rarely offered in chain salons. There are limited employment options after cosmetology school and many end up in salons where they become unchallenged, frustrated and wanting more. Some leave the industry entirely, some search for a salon that offers more. Since they have previous experience we do an accelerated version of our training program. *Certain salon associates are available for these services on certain days. Only advanced stylists or higher do advanced Balayage & Blonde or Corrective Color Work.